 Himelhoch Bed & Breakfast is an exclusive property where every guest is important and special. Our policies and customs are designed for the security, safety and enjoyment of all of our guests. Please review these policies, as by making a reservation, you are agreeing that you understand and will abide by these policies. Rates are quoted per night for single or double occupancy and include a full breakfast for each guest. All rates are subject to a 6% state tax. Our rates are subject to change without notice. Our rates are based on single or double occupancy. Some of our suites can accommodate extra guests. We can prepare these suites with extra bedding with advance notice. For each additional guest, there is a $15 /person charge each night of your stay to cover the cost of breakfast and additional housekeeping. A full deposit is required to secure a reservation. Deposits can be made by PayPal or credit card. We accept Visa, MasterCard, Discover and American Express. Balances paid on-site may be paid by credit card or cash. We do not keep cash on hand to give change. Our preferred check-in time is from 3PM – 8PM. If you know that you will be arriving after 8PM, please call us in advance to make arrangements for a late check-in. Check-out time is at 11AM. Early check-in & late check-out may be available for an additional fee if our guest & housekeeping schedules permit. This service is available only as we are able to accommodate. Please make arrangements in advance. All guest rooms are only accessible by stairs. Wireless internet access is complimentary throughout our bed and breakfast. We request that you refrain from large downloads and streaming as a courtesy to your fellow guests and the business function of the bed and breakfast. We are not responsible for service outages of this service including: provider maintenance, weather conditions or incompatibly with your electronic devises. Please do not use cell phones or other devices in areas that might disturb other guests. You will be asked to provide a photo ID at check-in for the guest name on the reservation. Guest rooms cannot be transferred to another party without advance notification. In order to assure privacy and a relaxing atmosphere for our guests, the bed and breakfast is closed to people who do not have reservations. The bed and breakfast and its property are for the use of registered guests only. Depending upon the total usage of the bed and breakfast, arrangements may be available for visitors with advance notice. Candles and incense are not to be used in the bed and breakfast, no exceptions. Alcohol consumption in moderation is permitted, however for the privacy and enjoyment of other registered guests, excessive consumption and abusive behavior will not be tolerated and will result in you being asked to leave and forfeit all payments. Illegal substances are not permitted at the bed and breakfast. Violation of this policy will result in the proper authorities being notified, guest being asked to leave the property and forfeiture of all monies due for the reservation. Since we cater primarily to couples, and individuals on business or others looking for a respite from the hectic pace of today’s world, limited rooms and dates are available for those traveling with children. Rooms may not be available for accommodating children at certain times depending on the total usage of the bed and breakfast. Availability to accommodate children at any time is at the discretion of the innkeepers as a responsibility to all guests. Please inquire at the time of booking your reservation if you are traveling with children. Children must behave in a way as to not disturb the other guests, residents & business functions at the bed and breakfast. Children behaving inappropriately will be required to be removed to their rooms. Injuries to children and damages to the bed and breakfast or other guests are the complete responsibility of the parent or adult. The bed and breakfast does not have high chairs, portable cribs or children’s menus. We observe quiet hours at the Inn from 10PM – 8AM. If you are coming in late or rising early, please be considerate of your fellow guests. Our innkeepers take great pride in serving a full breakfast each morning for our guests. Please inform us of any special dietary restrictions or requirements prior to your arrival. We will make reasonable efforts to accommodate your dietary requests. We are not responsible for any allergic reaction to foods or products used at the bed and breakfast. Please let us know in advance if you are sensitive to any foods so that our innkeepers can customize your meals to fit your needs. There are no kitchen or laundry facilities available to guests. Please ask if there is something that you need. Guests are responsible for any damages they cause. Damage or excess cleaning needed after your departure will be billed to you. This includes damage to furnishings, fixtures, linens or towels that result in the need for excess cleaning, repair or replacement. Please notify innkeepers immediately if you experience any issues with your accommodations. We take your safety and the security of your property very seriously. However, attendance and participation in Himelhoch Bed & Breakfast events or guest stays, whether paid for or not, is strictly conditional upon your agreement to never assert or make any claim against Himelhoch Bed & Breakfast, its employees, volunteers or contractors for bodily injury, loss/theft or damage suffered or incurred by you as a result of being on our property or participating in our activities. In the event that Himelhoch Bed & Breakfast must terminate a reservation due to any condition making it unsafe or impossible to provide for the use of the facility or services, you will be reimbursed all funds previously submitted and you agree to hold Himelhoch Bed & Breakfast harmless for the termination. Such events would include, but not exclusively limited to, loss of public utilities, natural disasters, or fire. Please contact the bed and breakfast prior to arrival to arrange any special service items. Sometimes we can accommodate a last minute request but we would rather not risk your disappointment. It is best to plan ahead. Motor homes, RV’s and trailers cannot be accommodated. No exercise equipment may be affixed to any room surface, door, casing or furniture.